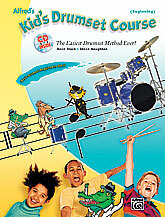 Three irresistible drum experts-a clever, classical dog, one cool cat, and a friendly alligator-keep students' attention focused by pointing out what's important on each page and help make learning music fun! This full-color book is specifically designed with attention-grabbing illustrations for use with kids at the elementary level. 48 pages.